Internationally known urban planner, his design concepts shaped Philadelphia's city landscape. 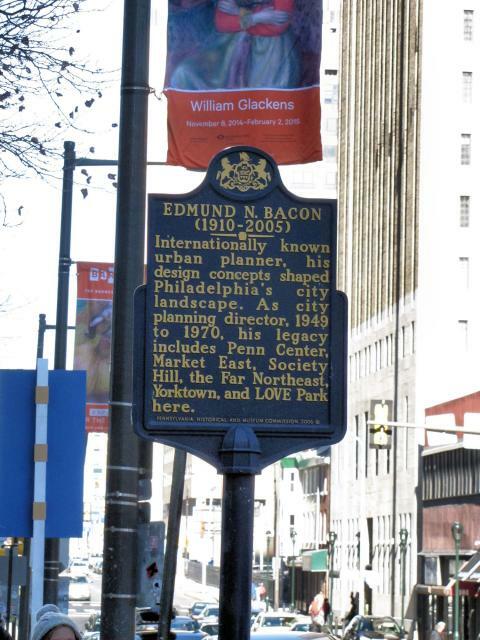 As city planning director, 1949 to 1970, his legacy includes Penn Center, Market East, Society Hill, the Far Northeast, Yorktown, and LOVE Park here. This marker can also be identified by its HM code. You can use the hashtag #HM1KMH in tweets, and any other place where you might refer to this marker, including when searching on this site.